The expensive Molecule 01 perfume, that will make you smell the best you ever have, has an identical, inexpensive dupe! There has been a lot of interesting stories, from people wearing this perfume, getting stopped on the street by random people, telling them they smell amazing and asking about what perfume they are wearing. It seems a little crazy to me, being a Dane, because Danes are way to private to ask people about stuff like that on the street. But if the stories are true, that's how people reacts to this perfume in England, the states and probably a ton of other countries too. I did some research to find out why this particular perfume makes people go crazy. The reason is, that the perfume only contains one active ingredient, Iso E Super, most other perfumes contains tons of different ingredients to create the scent of the perfume, but this perfume only has one. 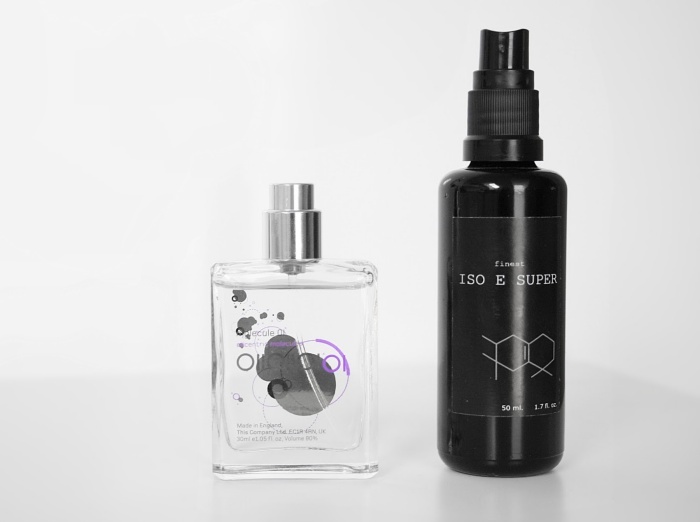 Iso E Super is activated by the warmth of your skin, therefore it's very light when you smell it from the bottle and you will notice that after a bit of wear on your warm skin, the scent kinda "disappears", at least to your nose, but other people will definitely notice it. This perfume smells different on everyone, because when combined with the wearers' own natural scent, it will evolve into something extraordinary. The scent of this perfume, apparently gives people a euphoric feeling and that's why people are so crazy about it. Me being the curious person I am, I had to try it. I actually started out by buying the eBay dupe first and I love the scent, it's a woody, floral and musky perfume, that both women and men can wear. I have worn it vigorously since I bought it and even though I love the simplicity of the eBay dupe, I felt like I had to try the real deal, before I truly knew if the magic of the perfume was a one product thing or if it could be duped. I then bought the real deal and to my surprise it smells identical to the eBay dupe. They both smell the same from the bottle and when you spritz them on, they are exactly as strong in fragrance. Lastly they both blend in with my skin and disappear to my nose, around the same time. Sadly I can't say much about how people react to me wearing the perfume, the only thing I can say, is that my grandpa really likes it and notice every time I wear it, now he want's my grandma to have it, so she can wear it aswell. Escentric Molecules Molecule 01 Perfume ($134 - 550 DKK) can be bought online for a bit cheaper, or in stores like Magasin, Liberty, Barneys.